They are all labor intensive. They are all document intensive. They all tend to be ad hoc and cry out for standardization. They are all prone to compliance and legal challenges. They all require a need for information and process security. So, where's the best place to start your HR automation? 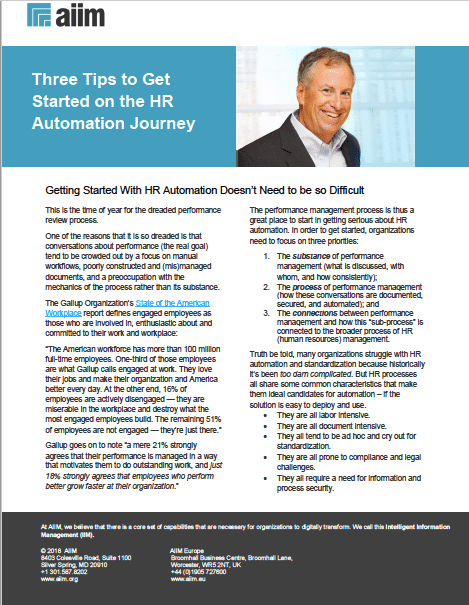 Get this FREE tip sheet outlining 3 tips to get you on your way to benefitting from automation in your HR department.